Lofty, ethereal, and dramatic, the coastal redwoods of northern California—the world’s tallest trees—offer a distinctive beauty that is impossible to encapsulate in words or photographs. Often shrouded by mist and lined with lush ferns, these giants of the forest keep watch over a damp and mysterious landscape. 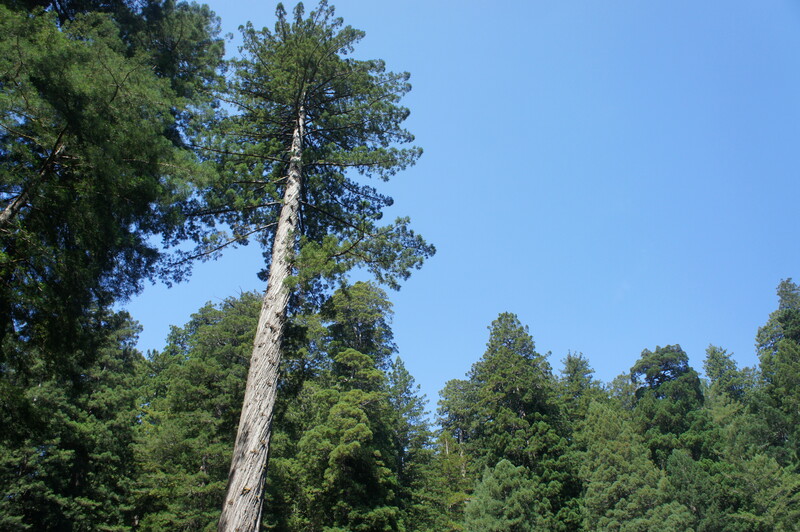 What’s left of these rare trees—less than 4 percent of the original virgin redwood groves remain—occupy a thin strip between the ocean and the Coast Range. They are close enough to the Pacific to enjoy very wet winters, but far enough away to enjoy shelter from the brutal wind and waves. 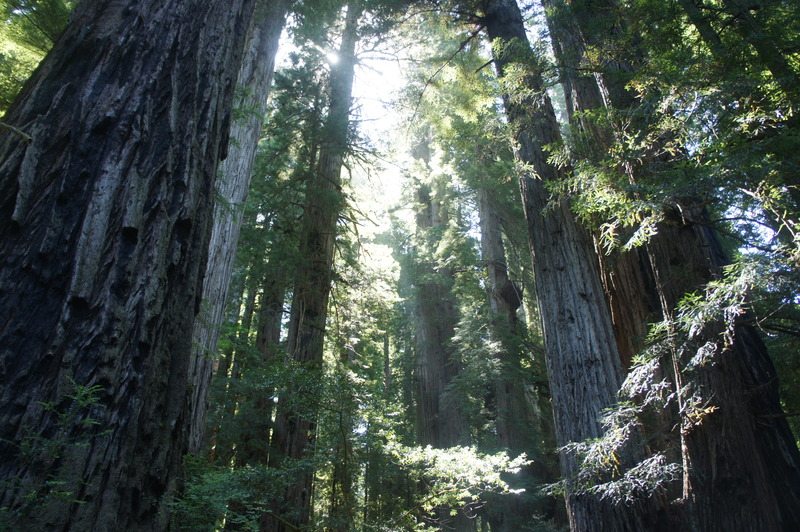 Prairie Creek Redwoods State Park—located inside broader Redwood National Park—boasts arguably the most scenic redwood groves in the world. 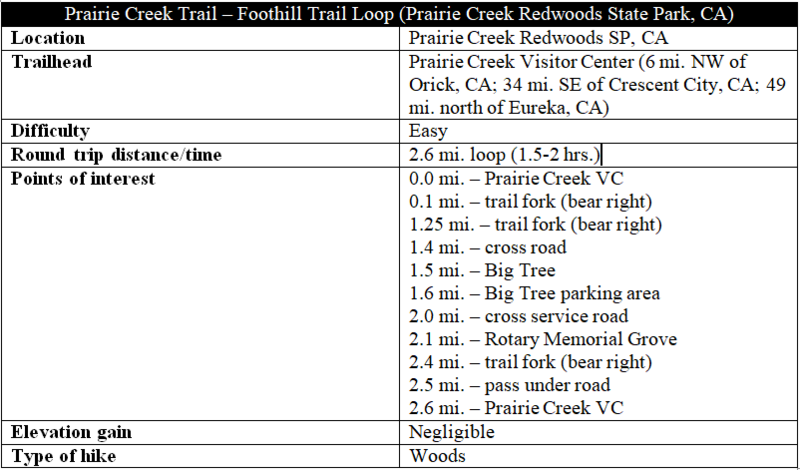 They are also easy to reach: starting and ending at the Prairie Creek Visitor Center, a combination of the Prairie Creek and Foothill Trails clocks in at just 2.6 miles. Save for the occasional sound of a passing car, the redwood groves along Prairie Creek offer an incredible serenity, a mystical experience enhanced by early morning fog or evening streaks of sun. 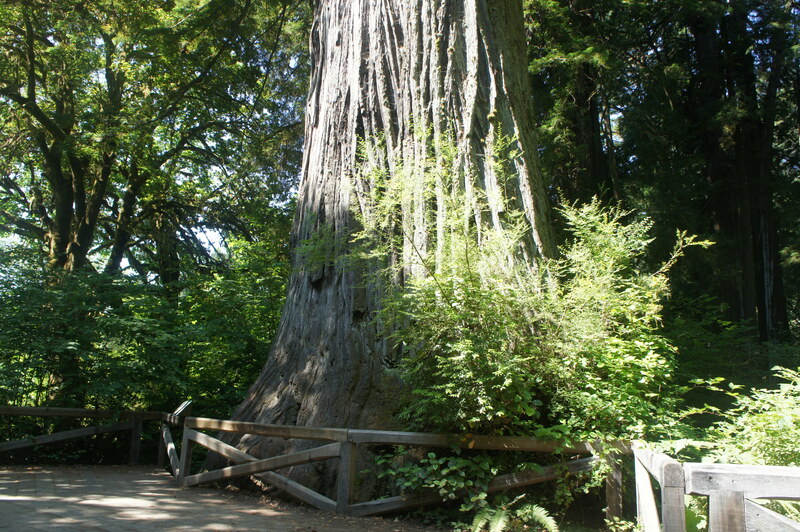 The Foothill Trail passes fewer groves but features the much-vaunted “Big Tree,” one of the park’s largest redwoods. 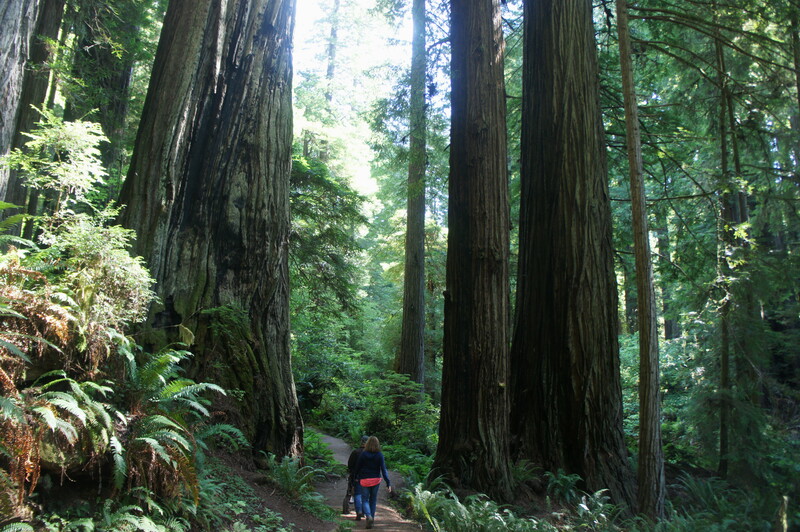 Better yet, these two hikes are passable by wheelchair, offering a stunning redwood experience for everyone. 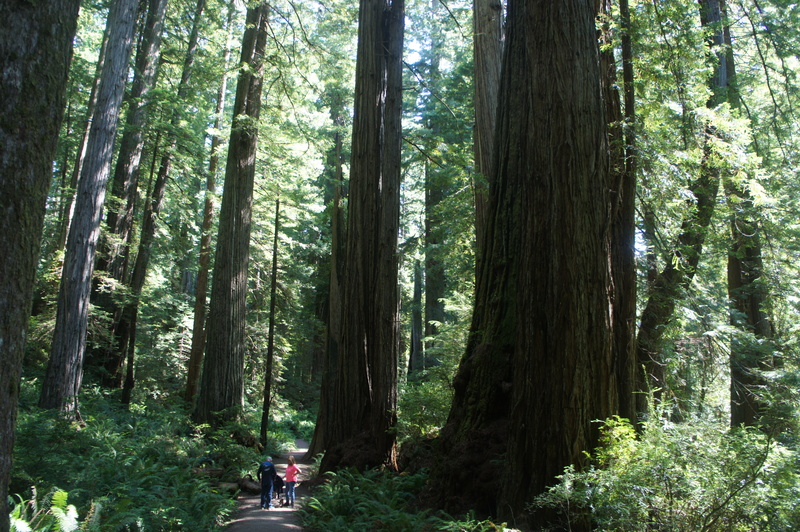 The Prairie Creek Visitor Center is situated just off scenic Newton B Drury Parkway, a 10-mile drive through the heart of Prairie Creek Redwoods State Park. After acquiring a map at the Visitor Center, head to the start of the Prairie Creek Trail, well-marked and easily-found just outside the center. 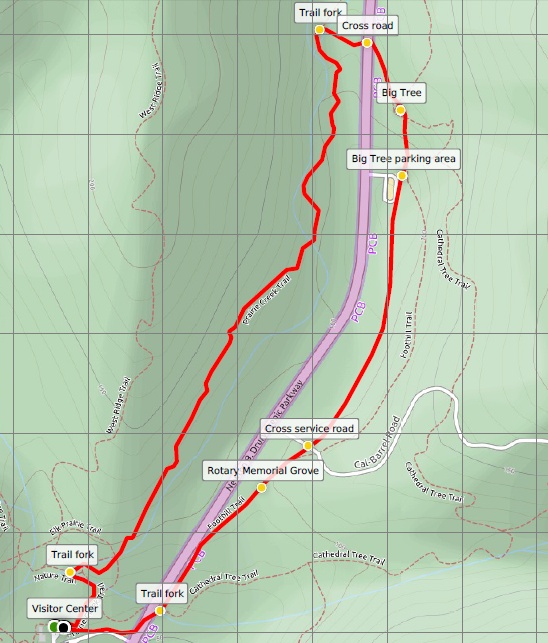 The first 300 yards of the Prairie Creek Trail cover, to paraphrase a park volunteer we met at the trailhead, arguably the finest stretch of redwood forest in the park. 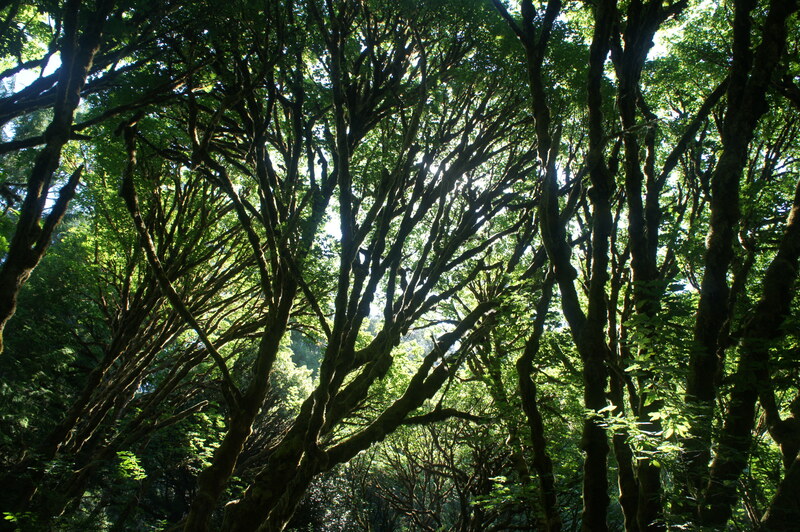 Immediately the titans of the forest are visible on the right, rising high above an understory strewn with verdant ferns. 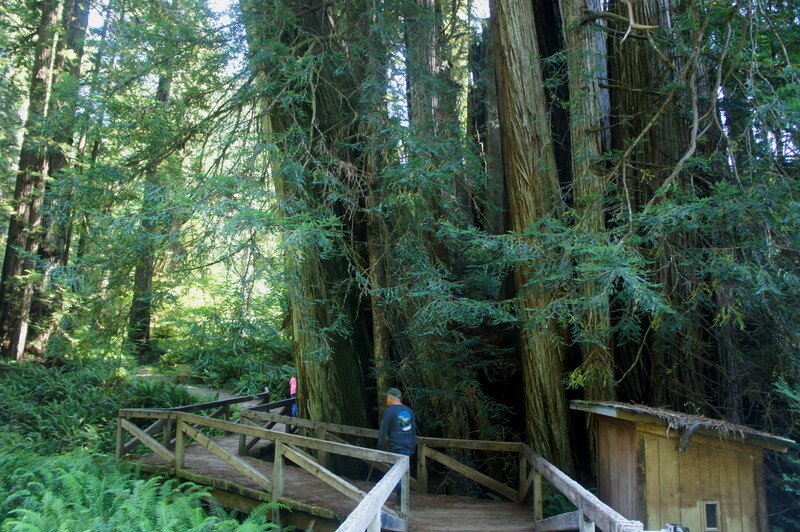 A wooden bridge over Prairie Creek, followed by a short boardwalk section, leads to an intimate grove of imposing redwoods, a sight so wonderful that no photo will do it justice. At 1/10 mile, bear right at the first of several trail junctions. It is not until ¼ mile that Prairie Creek appears again, this time shrouded in brush but flanked by redwoods on both sides. Redwoods in this section come in spurts, with dense groves interrupted by stretches of smaller—and younger—trees: Sitka spruces, maples, firs, and hemlocks. 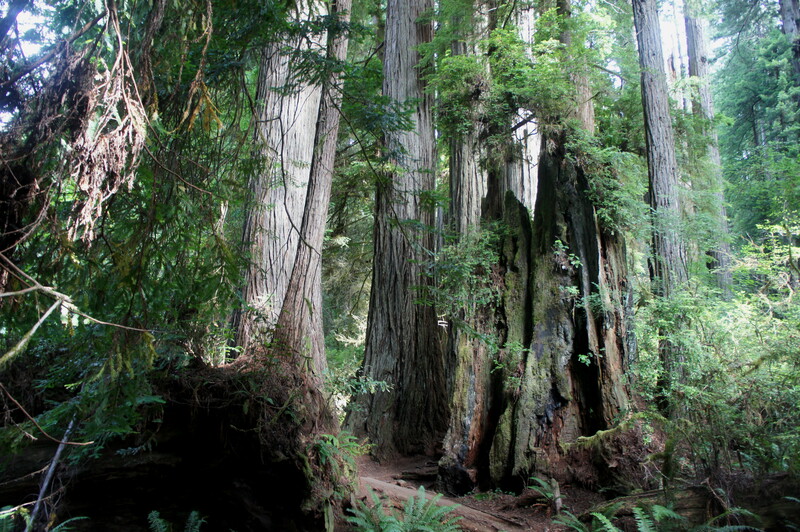 A small bench offers a place to sit at 4/10 mile, although the lure of the redwoods will probably compel you to push on. A slight uphill at around the ½ mile mark gives way to flat terrain again as the trail follows the creek on the right. The path crosses a tricky spot at 6/10 mile where part of the trail has eroded away, creating an obstacle that, while easily bypassed by most, is potentially impassable for wheelchairs (those with assistance could probably make it). Beyond, however, the route returns to wide and smooth tread, passing through a pair of tunnels carved through giant fallen logs. The ancient cloud sweepers continue to dot the landscape as the Prairie Creek Trail crosses another bridge at 0.85 miles. With the creek now on the left, a brushy clearing at around the one-mile mark offers a brief respite from the dark and mysterious canopy. Here the path crosses a minor stream blanketed with ferns. Back in the woods, the trail splits at 1.25 miles. Bear right, leaving the Prairie Creek Trail and approaching Newton B Drury Parkway. The footpath crosses the road at 1.35 miles and becomes the Foothill Trail, the eastern cousin to the Prairie Creek Trail. This trail is also wide and wheelchair-accessible, though arguably a notch less spectacular than Prairie Creek. Once away from the road, the eastbound path bends south and weaves through dense thicket, though old-growth redwoods are relatively sparse. 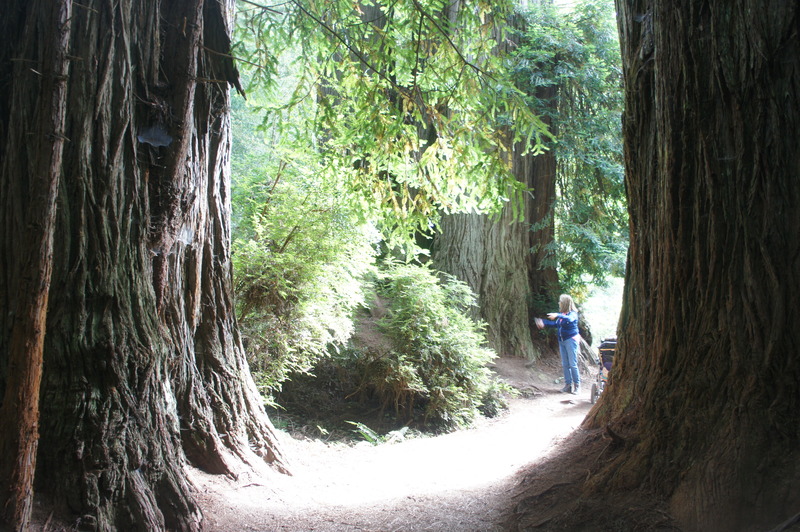 The redwoods return around the Big Tree Wayside, marked by—you guessed it—a remarkably large redwood on the right. The crowds at Big Tree—fenced off and fronted by a wooden platform—detract from its beauty; far more exquisite redwoods await ahead. From the tree, stay straight on the Foothill Trail, passing a parking area on your right. 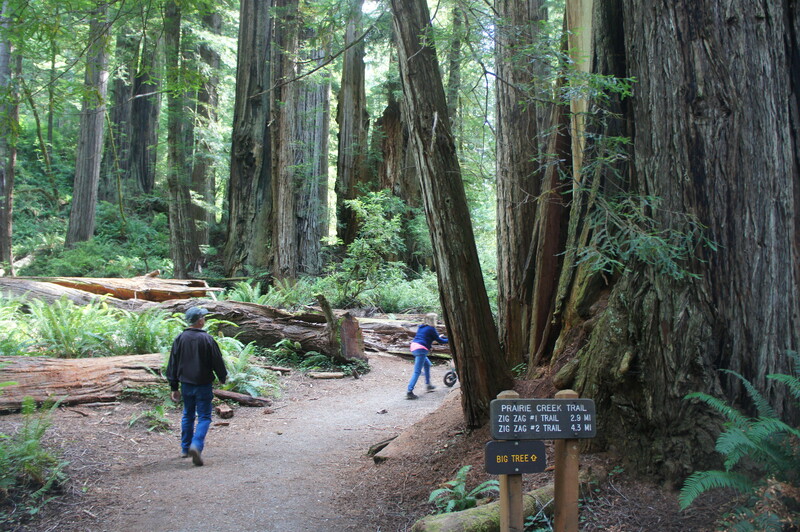 Leaving the cars and crowds behind, the trail passes through a dense forest with a relative dearth of redwoods. 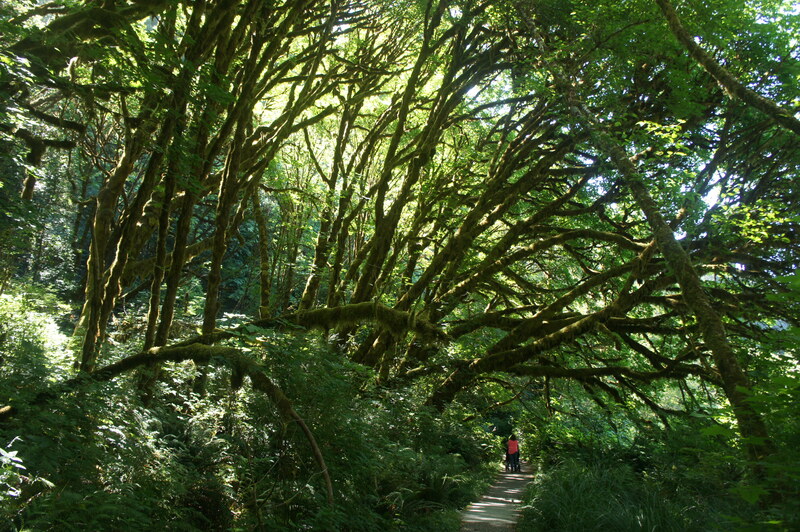 At one point, the path passes under a stunning constellation of moss-laden bay trees, an otherworldly sight. 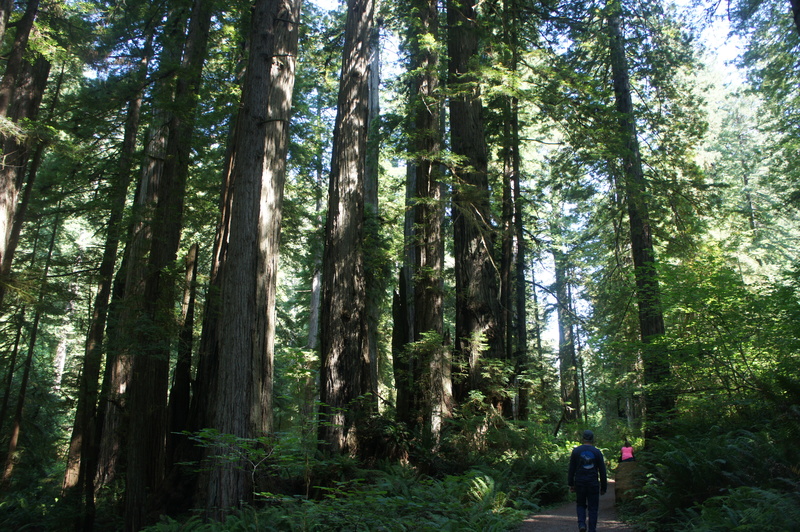 At around 1.9 miles, the old-growth redwoods return in earnest, with a beautiful grove just off to the left. Mixed in are several redwood look-alikes: Douglas firs and western hemlocks, many of which grow out of the roots of the redwoods themselves. Cross a service road at 2.05 miles, then enter the Rotary Memorial Grove, a tranquil garden of titanic trees, complete with several benches for rest and relaxation. 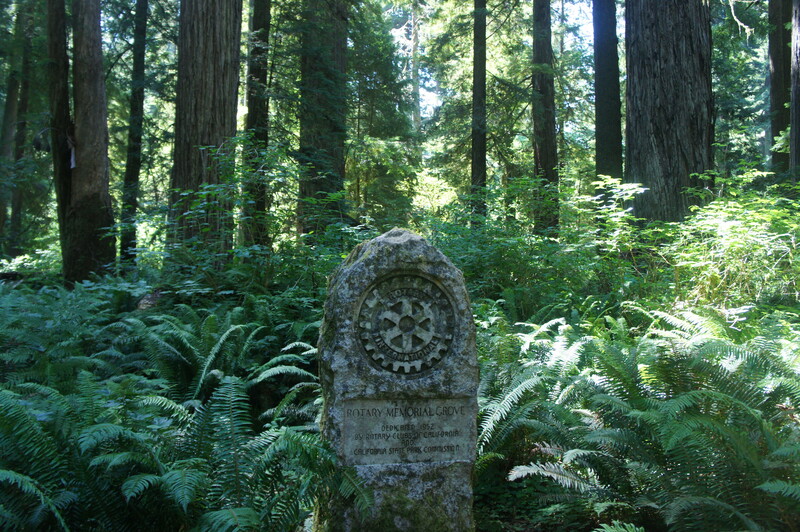 Just after passing under fallen tree, the Rotary Memorial Grove plaque is found on the left, with soaring redwoods as its backdrop. The trail reaches its crescendo when it passes a particularly mammoth trunk on the left at 2.35 miles. Beyond, the open fields of Elk Prairie come into view, and the trail forks; bear left and cross a bridge over Boyes Creek. Less than a minute later, follow the path as it bears under the Newton B. Drury Parkway. From the other side, follow the wide, gravel path as it approaches the Visitor Center parking lot. By 2.6 miles, you have completed the loop, back at the trail’s start. Allot at least 1.5-2 hours for this magical hike, a terrific introduction to the coast redwoods of the Prairie Creek area. 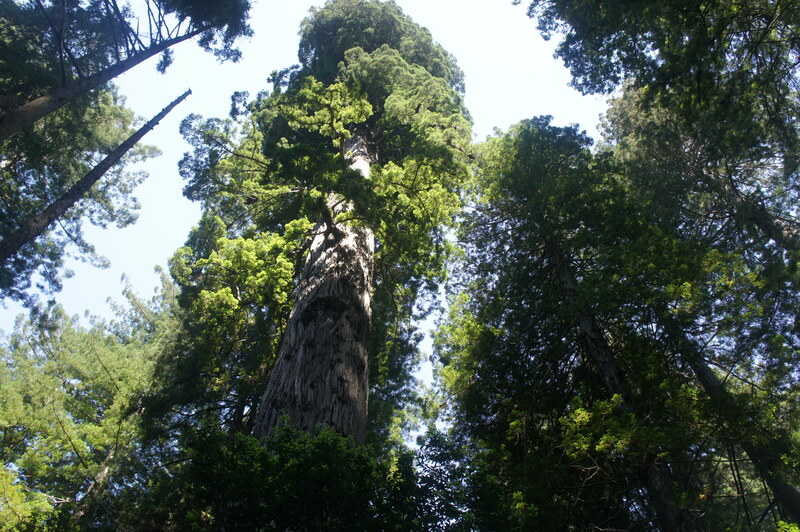 This entry was posted in California, Easy Hikes, Redwood National & State Parks and tagged Big Tree, California, Foothill Trail, loop hike, Prairie Creek, Prairie Creek Redwoods State Park, Prairie Creek Trail, Redwood National Park, redwoods, Rotary Memorial Grove, wheelchair-accessible. Bookmark the permalink.